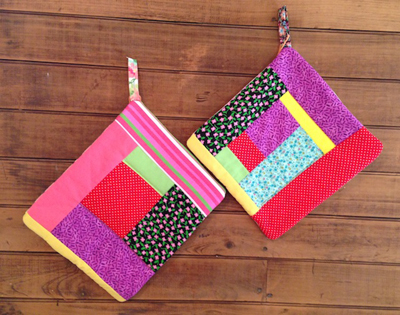 Little House Home Arts: Congratulations to This Month's Common-Thread Give-Away Winner! Congratulations to This Month's Common-Thread Give-Away Winner! Congratulations to Mary Butterfield who won Maria's Give-Away pot holders this month!! Do come back as every month there is a featured Common-Thread Artist who will give away a free sample of their work to the winner of the monthly drawing.Enjoy those pot holders Mary! !